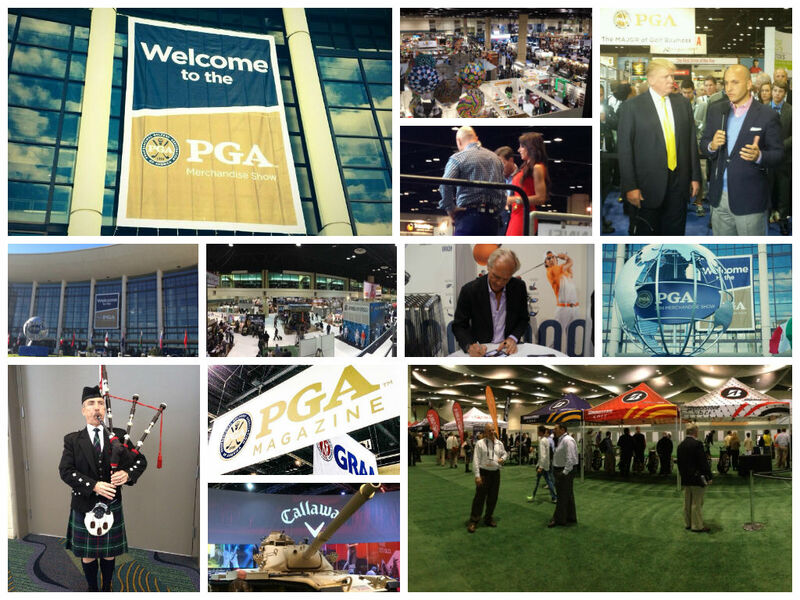 The PGA Show in Orlando every January is where the golf industry convenes. I had the good fortune this year to spend time with two individuals whom to me exemplify the passion and desire to create, truly memorable (golf) travel experiences. The first: I have known Ben Cowan-Dewar for several years. He was the instigator of the Cabot Links project in Inverness, Nova Scotia and convinced Mike Keiser (of Bandon Dunes fame) to become involved in the development. I think we’re on to something big here. 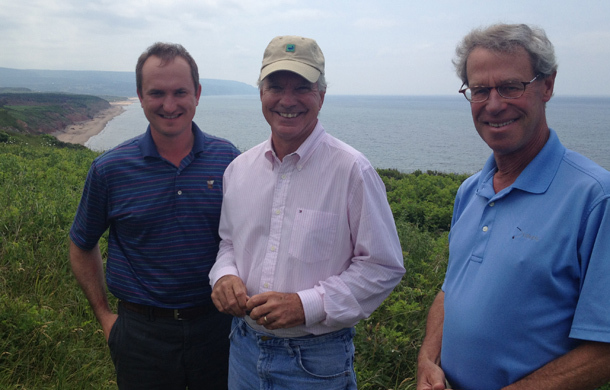 From Left to Right: Ben Cowan-Dewar, Bill Coore, & Mike Keiser at Cabot Cliffs, the second course that will sit on an awe-inspiring site above the Gulf of St. Lawrence. Ben is a perfectionist and strives to deliver a truly memorable experience from the minute you arrive. He realizes your overall enjoyment is built upon a multitude of small moments; the uber premium linens, premium coffee maker, cookies and hot/cold towels on the first tee. These things do not just happen, they are created by a leadership which truly and passionately want every guest to marvel at every moment of their visit to Inverness. The plans for the future are equally exciting. The second: Through an industry contact I met Alan Maloney of Mount Falcon in County Mayo, Ireland. While Mount Falcon does not have a golf course on site, it is located centrally for several great links courses; Carne, Enniscrone and Sligo. Alan’s background is not in the hospitality industry, but he has embraced it with a fervor which one rarely sees. His passions are golf, fishing, and shooting, and he weaves these activities through the Mount Falcon experience. 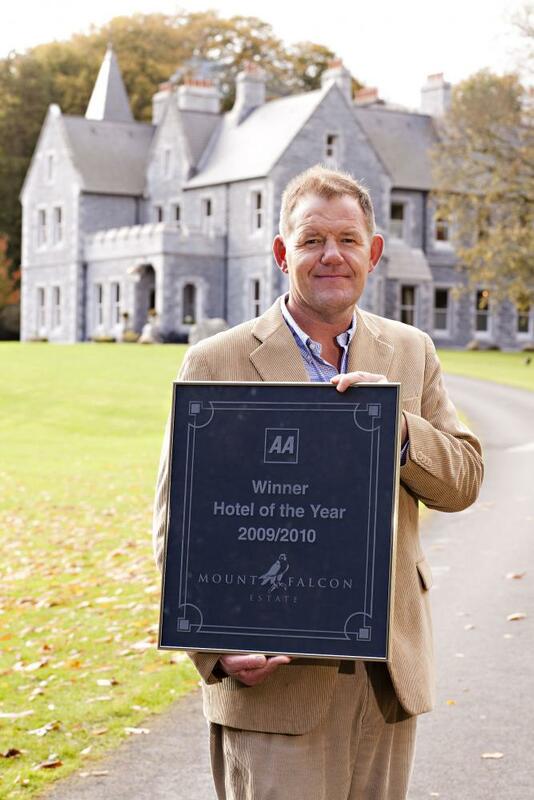 Alan Maloney, owner of Mount Falcon, a Luxury 4 Star Hotel - located in North County Mayo in the West of Ireland - and recipient of AA Hotel of the Year 2009/ 2010 & IGTOA Boutique Hotel of the Year 2011. While I have not yet visited Mount Falcon is was obvious to me that with his leadership and determination, Mount Falcon shall establish a reputation as one of the finest hotels in Ireland. He lives and breathes Mount Falcon and no expense was spared in the refurbishment of the original building, nor any corner cut in the design and execution of the newer accommodations on site. As with Ben at Cabot Links, the staff at both properties witness on a daily basis the “bosses” commitment to getting all things right and that leadership is infectious and inspiring. Why Aren’t You Golfing in Canada? Here’s What You’re Missing!